It all starts with a beat. A virtuoso of any craft starts with a love in their heart and a belief that this is their path. Great talents make their mark on the world by perseverance, struggle and dogged determination- traits few can withstand for very long these days. But sometimes a character of substance emerges, someone whose passion and talent truly rise above the norm, someone that embodies this music like no other can, a man who champions techno like a religion, and someone that the electronic music world can admire and take pride in. Marco Bailey is truly an icon in dance music. He cemented this status through relentless touring and with releases across a wide variety of respected labels such as; Intec, Drumcode, Sleaze ... After his critically acclaimed Rude Boy album back in 2004 , then followed by ”Dragon Man" LP on John Digweed’s Bedrock label in 2011, Marco released the notable several eps on Carl Cox his (Intec) followed by "Jungle Laps" (Bedrock) in 2012. and of course his own MB Electronics recordings and recently he started MBR limited a new label concentrated on Marco his current sound and only releases by Marco himself . Esteemed artists such as Adam Beyer, Joseph Capriati, Flug , Cari Lekebush , Black Asteroid , Arnaud le Texier ,Mike Dehnert , Gregor Tresher, Speedy J, Nic Fanciulli, The Advent, Umek, Pig & Dan, Christian Smith, Dave Angel, Ken Ishii and Sian all remixed Marco, always citing the fact that they are honored to work with someone they so admire and respect. Marco’s certainly not just releasing on other artists’ labels. His own imprint, MB Elektronics saw him churn out no less than five separate EPs in 2012 alone. This was followed up by what some techno aficionados have dubbed a masterpiece, his 12 track album “High Volume” which dropped in 2013 along with his very up close and personal documentary “Marco Bailey.” Just born is his brand new imprint: MBR Limited as well a special limited series editions of total 20 ep’s all showing the deeper, dark & pureness of the Techno sound of Marco Bailey, each time with on the flip side a brilliant remix such as guys like Black Asteroid from New York City, Flug from Argentina, Nikola Gala from Greece and Berlin based legend like Mike Dehnert & Korova , Arnaud le Texier , Emmanuel etc etc... Marco is a festival fixture at some of the most prestigious shows in the world MANY TIMES such as Tomorrowland (BE), Time Warp (Mannheim Germany), Global Gathering UK + Poland , Pukkelpop (BE) , Link Festival ( BE) , Extrema ( BE + NL ) Awakenings (NL), I Love Techno (BE), Ultra Music Festival (USA), Burning Man Festival in Nevada (USA) , Mandarine Park (Buenos Aires), Nature One (Germany), Wire (Japan), Dream Beach Festival (Spain), Soul Tech Festival (Mexico) , Metamorphose Festival (Japan) , Dance Valley (NL), and lots more ...On the clubbing side, he is a lauded techno ambassador at venues like Output (NYC), Ageha (JP), Space ( ibiza ) ,Fabric (London), Pacha ( NYC) Fabrik (Madrid) , Crobar (Buenos Aires) , Pacha (Buenos Aires) , D Edge (Sao Paulo), Lehmann ( DE ) , Zig Zag ( FR) ,Industrial Copera (SP) Chinese Laundry (AU), Rex-Paris ( France) , Fuse ( BE) , Le Cadran ( BE) , Doornroosje ( NL) , Tresor ( DE) , Ministry (UK) , The Egg ( UK ) Amnesia ( ibiza ) ... and with his annual guest appearances at Carl Cox’s "Revolution" events at Space in Ibiza, Marco has affirmed his legend and well-earned place at the top. Marco continues to adapt and challenge the status quo each week with his radio program Electronic Force which is heard by millions of listeners in more than 50 countries. 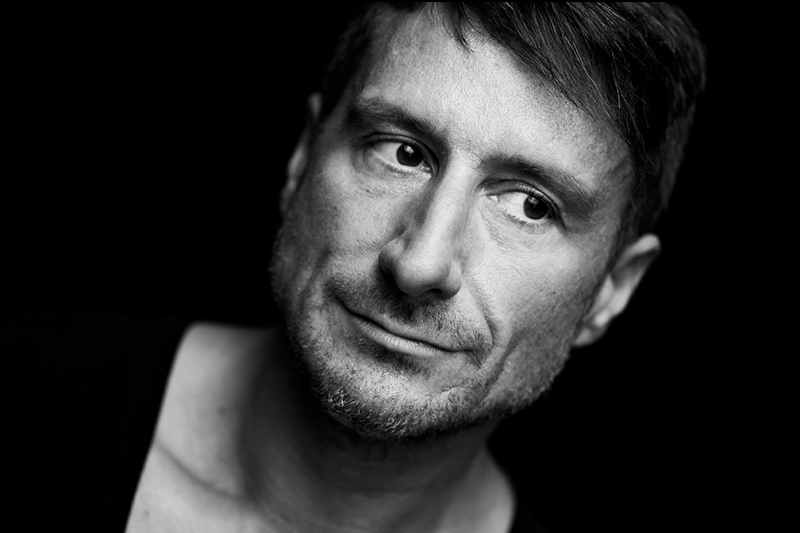 This, coupled with his innovative production genius, passport filling tour routine, and never ending love and energy for techno culture makes Marco Bailey one of our truest icons.